The ruins of Quirigua retain an impressive series of stelae and sculpted calendars, partially deciphered, which constitute a remarkable and unique source of the history of the social, political and economic events of the Mayan civilization. The zoomorphic and anthropomorphic sculptures are among the most attractive pre-Columbian works known. Quirigua is, together with that of Copán (Honduras), one of the major testimonies to the Mayan civilization. At Quirigua, traces of human occupation are attested to from about AD 200, but the zenith of the city may be placed during the period known as Late Classic, about AD 600-900. Inhabited since the 2nd century AD, Quirigua had become during the reign of Cauac Sky (723-84), the first sovereign of the historic period who has been identified with certainty, the capital of an autonomous and prosperous state. The extraction of jade and obsidian in the upper valley of the Rio Motagua, which was tightly controlled, gave rise to a profitable goods trade with the coastal ports of the Caribbean. This monopoly remained in existence during the 9th century. Quirigua isn’t the sexiest of Mayan ruins. It is significantly smaller than most sites like Tikal, Copan, or Coba. What buildings are left are not that large and it lacks the awe-inspiring pyramids of a Chichen Itza. What it does have is perhaps the best collection of intact Mayan stele in the world. Not only are the stele in relatively good condition, but they are also the largest stele in the world. In fact, they are the largest pre-Columbia stone sculptures in the Americas. Quirigua is often considered a companion to Copan in Honduras. If you are visiting Copan, a trip to Quirigua only takes about 1-2 hours, depending on time at the border and traffic. The entire site can be explored in about an hour. The Archaeological Park and Ruins of Quirigua is a UNESCO World Heritage Site in Guatemala. It was added under the Cultural category in 1981. The ruins and the archaeological park belong to the Mayan civilization and are dated back to the late Pre-classic to the Early Post-classic period. This site features an ancient Mayan site that was constructed during the time of Cauac Sky’s rule. It is also noted for the 8th-century monuments that were found in the area. Quirigua is an archaeological and pre-Columbian site located near Motagua River in Guatemala. These monuments are recognized for their cultural significance as these sites reflect a time of wealth and prosperity for the rules from the Mayan Empire. The Archaeological Park and Ruins of Quirigua are what is left of a civilization that saw rapid expansion during the 8th century. Quirigua flourished after the military victory over the King of Copan in 738. 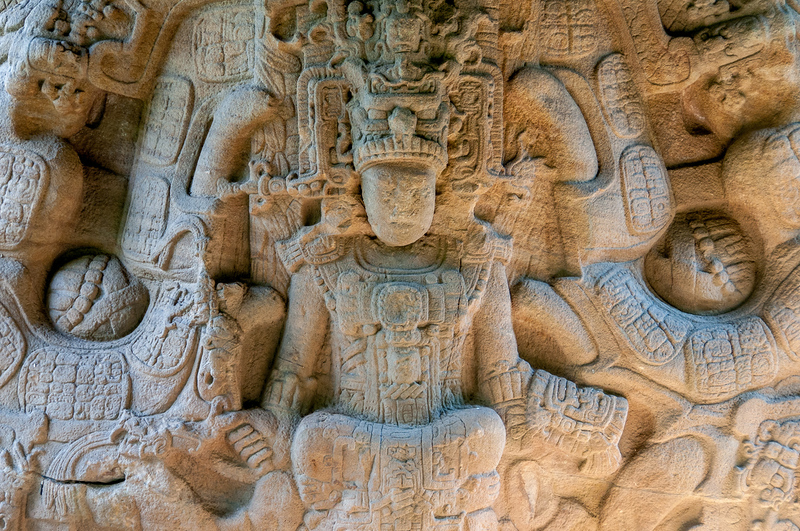 After the defeat, the Great King of Copan was sacrificed at the Great Plaza in Quirigua. Since then, Quirigua maintained its independence and they developed a wide range of monuments to celebrate their new status and power. Even though the ceremonial architecture in Quirigua is modest as compared to the other Mayan monuments, the cultural importance of these sites lies in its ability to echo the wealth of Quirigua at that time. If you see any similarity with the architecture and monuments from Copan, it is because the monuments found within the Archaeological Park and Ruins of Quirigua are modeled after it. Following the defeat of the King of Copan, Quirigua built its own palace, Acropolis and ball courts. The ceremonial center is laid out such that it is surrounded by three plazas. The Great Plaza is located in the northernmost area and measures 325 meters from north to south. It is also the largest plaza of its kind from the Mayan civilization. The next one is the Acropolis Plaza, which is fully enclosed. Lastly, the Ballcourt Plaza is the last of the three plazas. 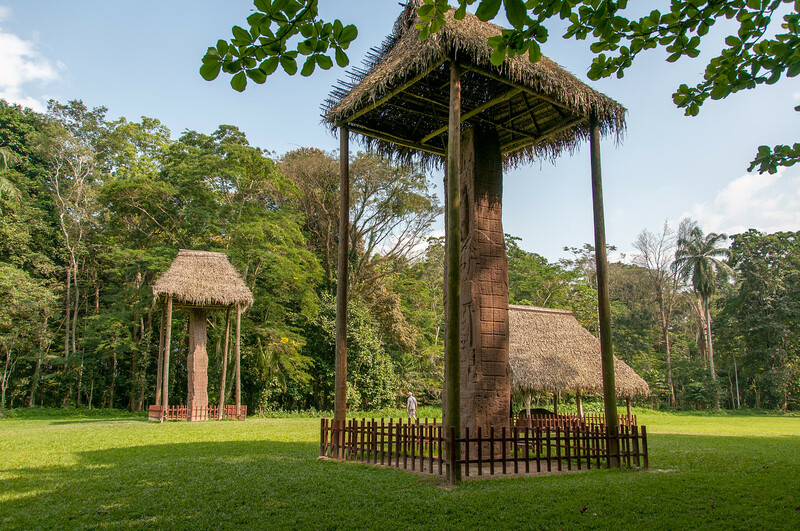 On top of these plazas, Archaeological Park and Ruins of Quirigua are also known for its many monuments. In fact, the site consists of the tallest stone monuments that were ever constructed from the time of the New World. The carved stelae and sculpted calendars, to be specific, were crucial to the study of the Mayan civilization. 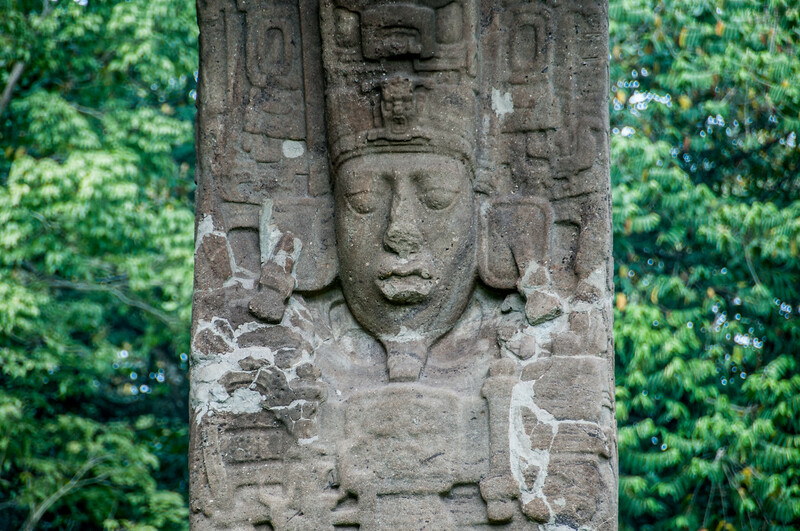 It is believed that these tall monuments called stelae were visible from the Motagua River. Aside from the height and structure itself, the full-figure hieroglyphs and the texts contained in them were also notable. 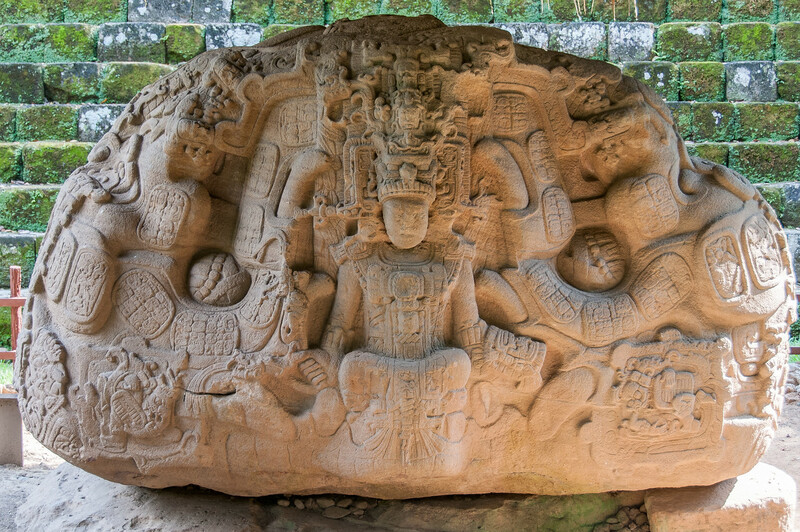 These are believed to be one of the most elaborate stone inscriptions from the Mayan civilization. These inscriptions feature carved representations of deities and mythological animals. The conservation efforts for the Archaeological Park and Ruins of Quirigua have been met with many challenges. The area is located within a seismic zone and is constantly exposed to harsh environmental conditions such as storms and hurricanes. The illegal logging activity is also causing a threat to the protected area. In fact, it has indirectly caused vulnerability to the protected area by increasing the chances of flooding by up to 70 percent. In fact, the park was temporarily closed after a tropical storm hit it in May 2010. Hence, the Archaeological Park and Ruins of Quirigua was included in the list of World Monuments that require more attention in terms of planning and protection.